• The center setting is 6 mm in diameter the adjacent two are 4.5mm in diameter and the outer most settings are 3.5mm in diameter. 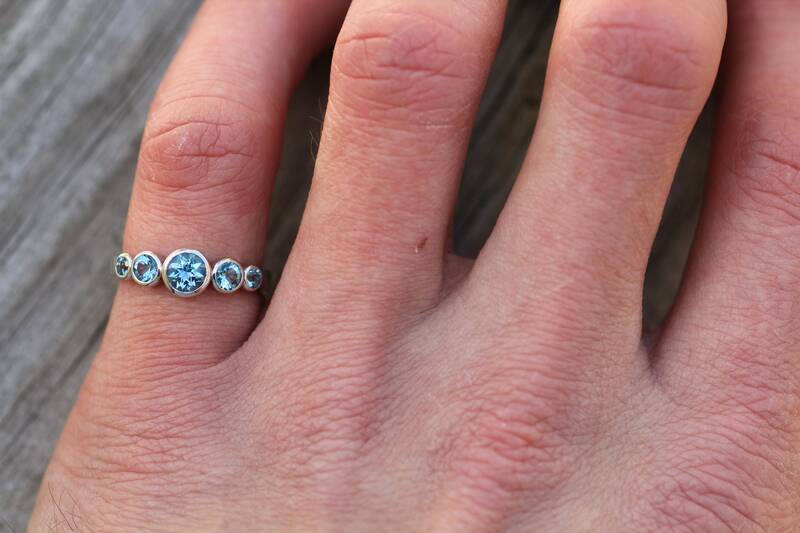 The ring band is 2.5mm in diameter and 1.4mm in thickness at the base and 2mm where it attaches to the bezels. - I personally make each and every piece. I design and manufacture all of my jewelry. For the item above I use an inkjet 3d printer to aid in making an accurate wax model and then directly cast that model in your selected metal. I hand set all gems and hand finish each piece under a high power microscope to ensure a really high-quality standard. I also personally photograph all of my own work. Feel free to contact me with any questions you might have. A ring sizing is free but it counts as an exchange, except you have more time to decide to get it sized. You have to ship the ring back to me at your expense, but I will resize the ring and ship it back to you at my expense. I prefer you contact me within 3 months of purchase to initiate the sizing. 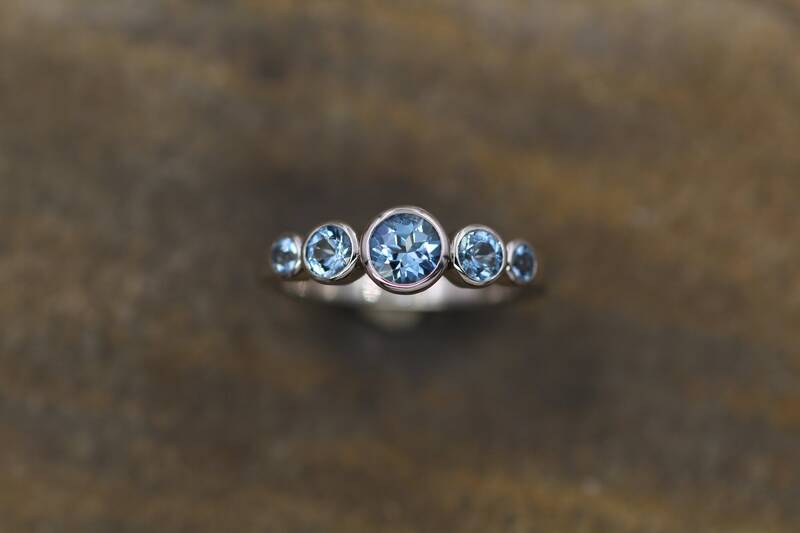 - To initiate a ring sizing simply send me an Etsy conversation and I will give you return shipping details and a time frame from when the ring arrives, typically a sizing takes me 3-5 business days. Each ring order comes with a free ring sizing band. 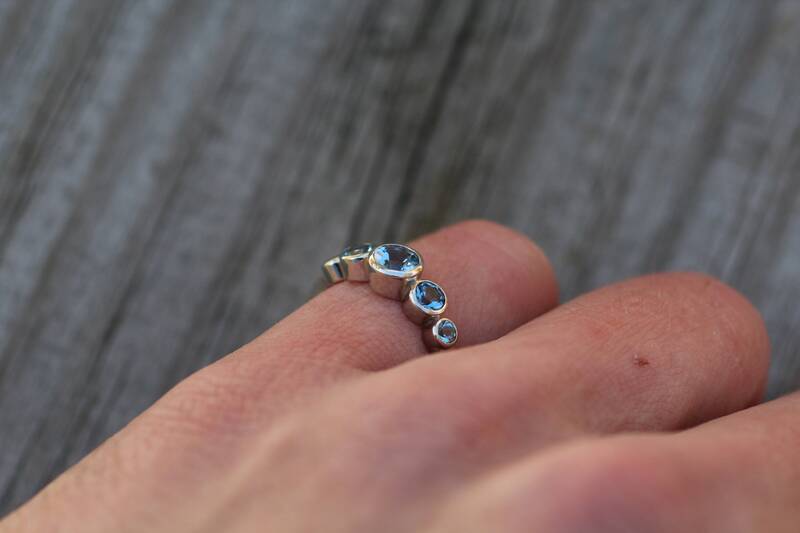 This can be used to determine a correct size for a resizing or size your other fingers, or gift it to a friend! 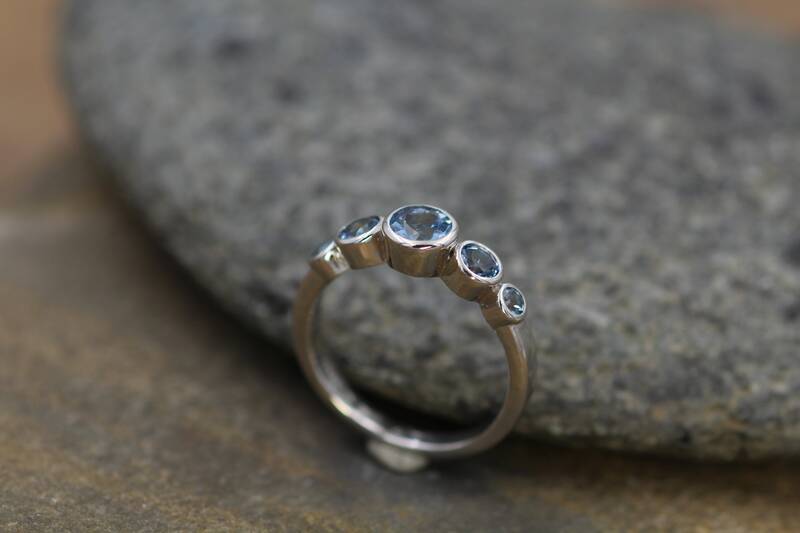 Remember, it is a wide band so if you are ordering a ring with a very thin band say 1-1.5mm(like a stacking ring) you may want to have it be a quarter size smaller than the measured size. I do not transfer your information outside of Europe. All of the information you provide my shop for shipping and purchasing items is held on the Etsy secure site and is not transferred. For purposes of EU data protection law, I, Sennin Esko, am the data controller of your personal information. If you have any questions or concerns, you may contact me at sennin@mountainspiritjewels.com . *If you want your information deleted that is held by Etsy, you may contact Etsy at Etsy.com/help for assistance, or you may send a request directly to Etsy. EACH piece is hand made for your order, production times are clearly stated in each listing. Please anticipate production time taking the full amount of time stated in the listing description. Thank-you for understanding. 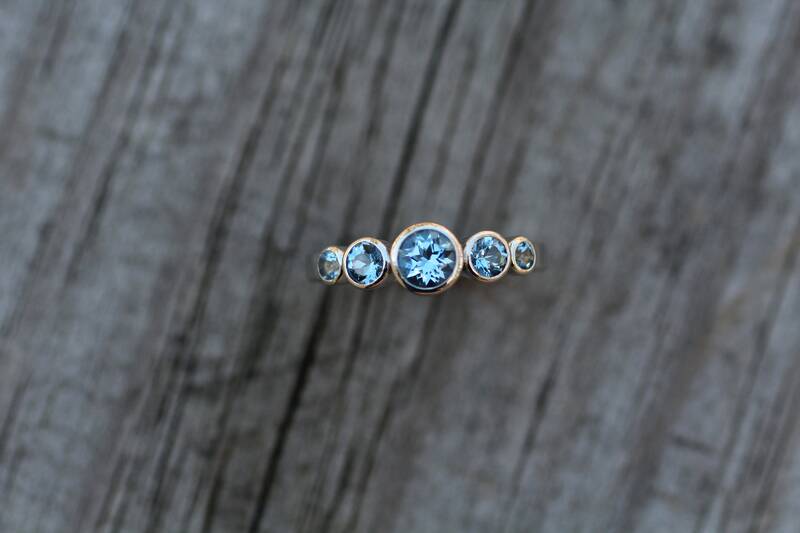 To initiate a ring sizing simply send me an Etsy conversation and I will give you return shipping details and a time frame from when the ring arrives. Each ring order comes with a free ring sizing band. 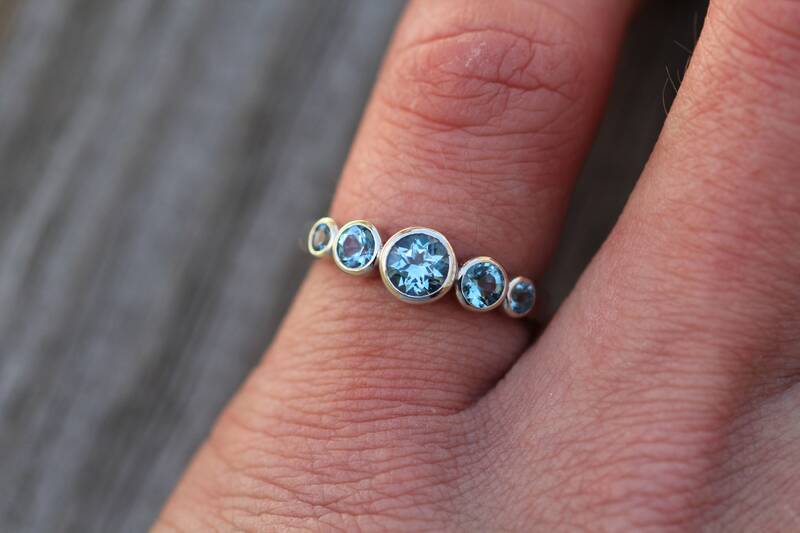 This can be used to determine a correct size for a resizing or size your other fingers, or gift it to a friend! The sizing band is considered a wide band (3mm), consider a quarter size smaller for narrow band such as a 1.2mm stacking ring. Simply send me an Etsy conversation or an e-mail to initiate the exchange. 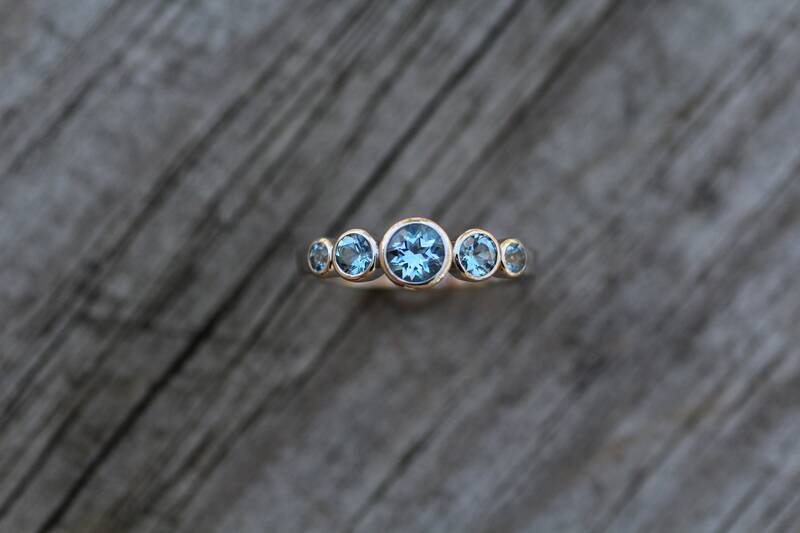 You are responsible for the cost of mailing the item back to me, however, I will cover the cost of mailing the exchange and or sized ring back to you. 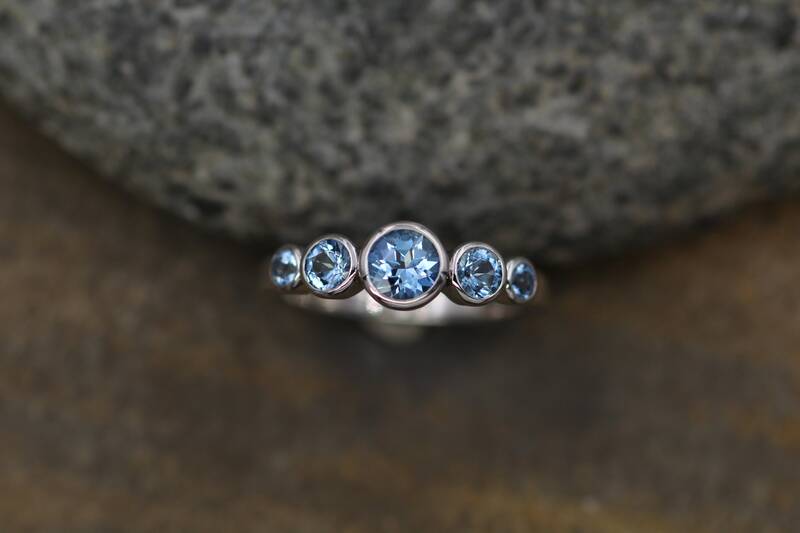 I will notify you when the item has arrived at my shop and I will follow up with a shipping notification once the exchange and or ring sizing is complete. What is 18kt white gold? Palladium based white gold is also available for all my cast items upon request. Send me an Etsy conversation for a price. 100% Recycled means that the metal was refined from post consumer or from manufacturing scrap metal. I will often recycle one more time from my scrap pile to make rose or yellow gold beads for rings or for ring re-sizing. If you are uncertain about your ring size you can contact me and request a ring sizing band to verify your size. If you have already placed an order it is free, if not it is $3 and you do not have to return it. If you have already placed an order please contact me as soon as possible as to not delay your items production time. 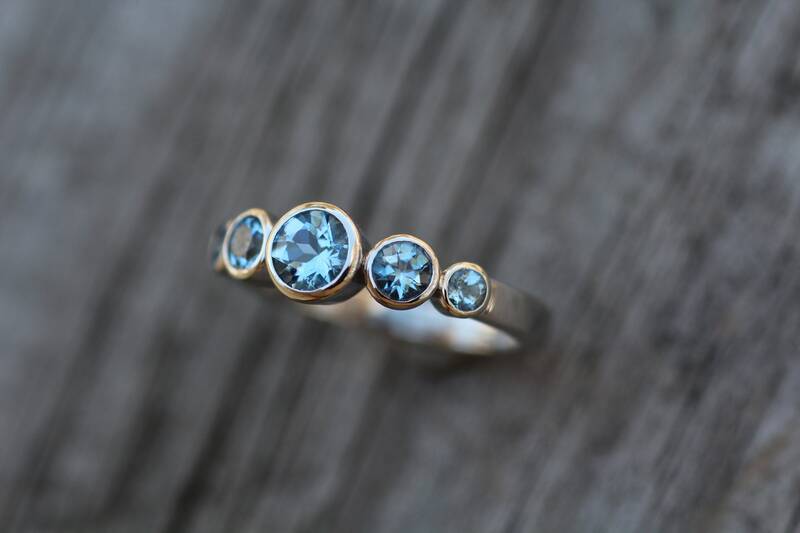 Within the US it usually takes 3-5 business days to arrive so if you contact me right away it will likely arrive with enough time for me to make and ship the ring on time. 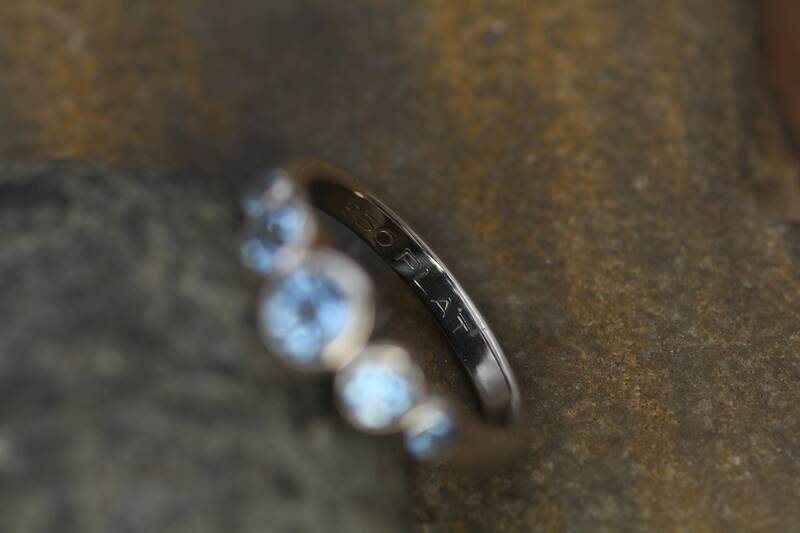 Remember, it is a wide band so if you are ordering a ring with a very thin band say 1-1.5mm(like a stacking ring) you may want to have it be a quarter size smaller than the measured size. I do NOT recommend printable ring sizing charts. Sort of, a very small amount of it exists for use for jewelry/industrial and scientific applications. So platinum is certainly recycled for re-use ,however, the amount of heat and resources required to recycle and refine platinum for re-use is immense. So with that the answer is still sort of. Where is my ready to ship jewelry? Why don't I have very much ready to ship jewelry on Etsy? Most of my ready made jewelry is on display at a gallery here in Berkshire County. If you are traveling through Western Massachusetts its called the Good Purpose Gallery on the Main street in Lee, MA. Lee is exit 2 on the I-90.